What’s the most important improvement needed in Bury St Edmunds town centre for shoppers, residents or visitors? If you have ideas, whether it concerns the retail offer, car parking and traffic, or an environmental suggestion then the town’s Business Improvement District (BID) wants to hear your thoughts. 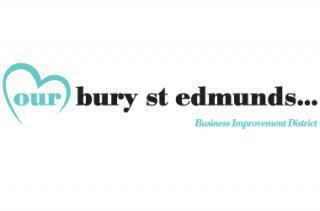 Residents, visitors and those who work in Bury St Edmunds are being asked to participate in an annual study which aims to improve people’s experiences of the town centre. It will look at how people travel to the town and from how far away as well as what they think of it. The simple online survey, which takes only minutes to complete, has been commissioned by the BID organisation Our Bury St Edmunds to find out why people enjoy visiting the town centre – but equally importantly to establish why those who don’t, choose to go elsewhere. Our Bury St Edmunds Chief Executive Mark Cordell said: “This annual survey is a key indicator of how our town is performing and any improvements that can be made. I hope as many people as possible will take part because the more answers we get, the more accurate the results will be. The research is being carried out by People and Places, an organisation which helps small towns with information and advice on best practice to face the challenges from bigger cities or out of town shopping. The study can be found HERE and researchers are also carrying out some face to face surveys in the town centre. The online survey will remain open until the end of this month.